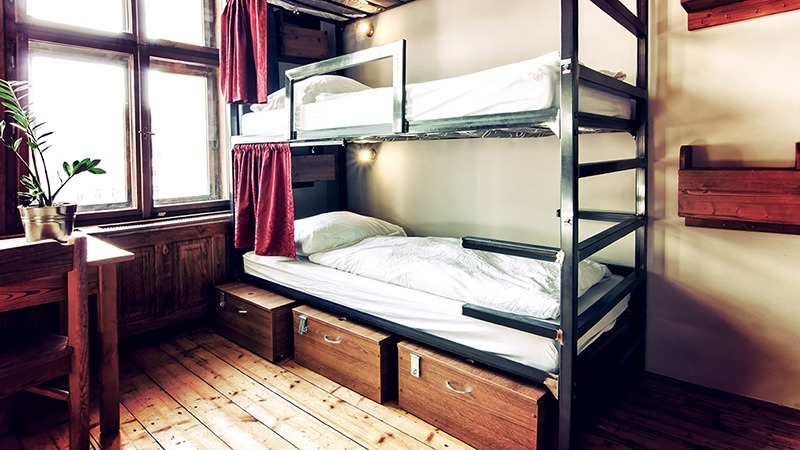 Dormitory room with 4 sets of our new triple level bunk beds, each with private locker. Shared Bathroom Facilities. 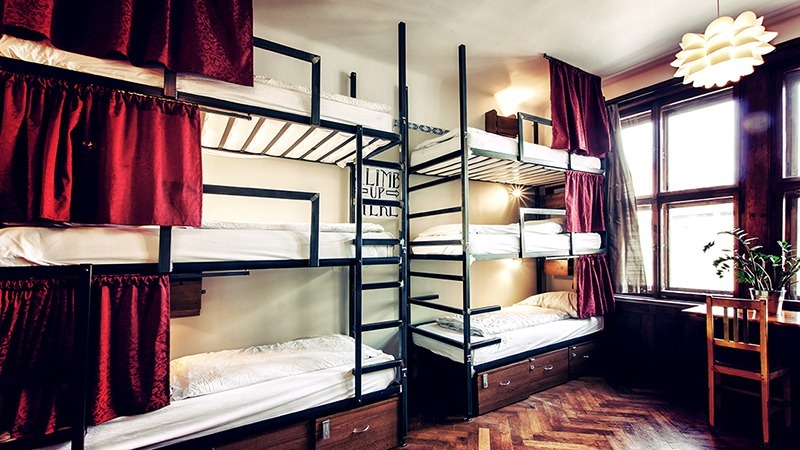 There are 3 different types of 12 Bed Dormitories, Mixed Dorm, Male only and Female only.